It’s like seeing an old girlfriend again for the first time in 15 years and she’s even more beautiful than you remember – but unlike most of Pies’ ex-girlfriends, they ain’t cheap. Glorious – I’d just glorious. Brings back memories of the beginning of that era of retro cool nike and the brazilian national team. 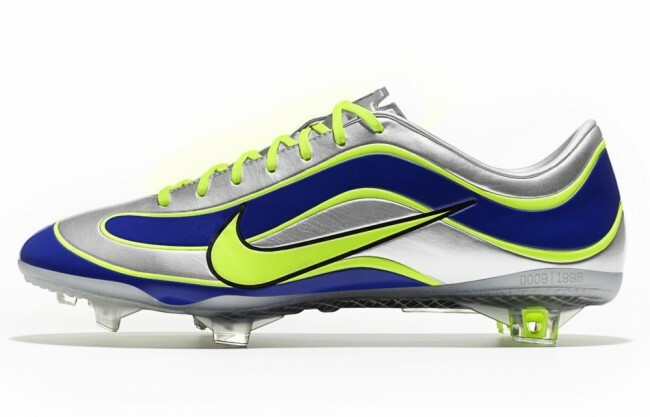 I’d watch ronaldo tear it up week on week in these babies. I’m not a fan of this colourful stuff but this is a classic. I just think the yellow parts should be really yellow like it was in those days.